Film Fest Tucson is back for its third year with more movies, more viewing locations and more features than ever before. Film Fest Tucson will show their films on Oct. 12 and 13 at the Historic Scottish Rite Cathedral, the Fox Tucson Theatre and the AC Marriott Hotel, with the latter two being new venues. There will also be four free outdoor screening options nearby. This year includes 38 films screenings with 26 being features, and 12 being shorts. This is an upgrade from the previous year where there were only 27 films. Stratford is also a film critic and is the centerpiece in choosing which films feature in the festival. The film festival will also include a tribute event for the first time where they will highlight the work of three women in film. They will do this by showing clips of their work and have conversations with the women about their work. This year’s special guests include Catherine Hardwicke, Haley Lu Richardson and Sophia Mitri Schloss. The event does not carry a special theme in terms of content, but Stratford believes that there is rather an overarching theme. “We are all about collaboration and sharing audiences and shining the light on other fellow non-profit arts organizations here in town,” he said. 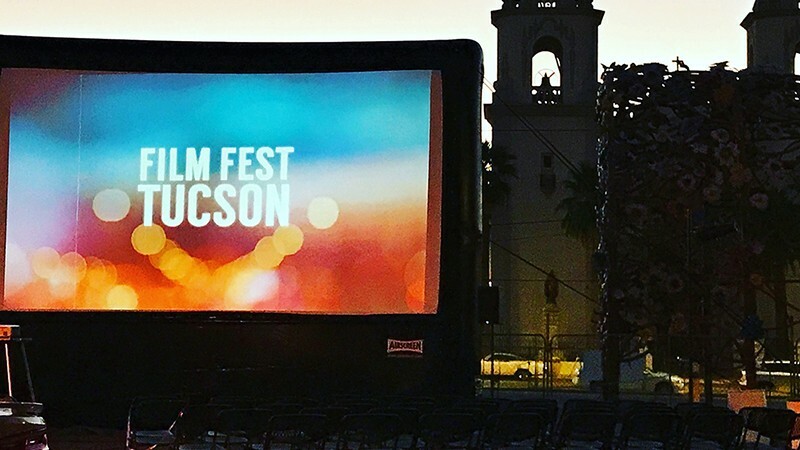 Every year Film Fest Tucson collaborates with six to ten local arts and cultural institutions in town to help with films. Stratford expects the festival to keep expanding over the years. Tickets start at $10 for individual shows and Stratford hopes that despite it being a busy weekend, people will come and have fun. “If you look at the program, I think people will find something they are interested in and we just hope that everybody will join us,” he said.